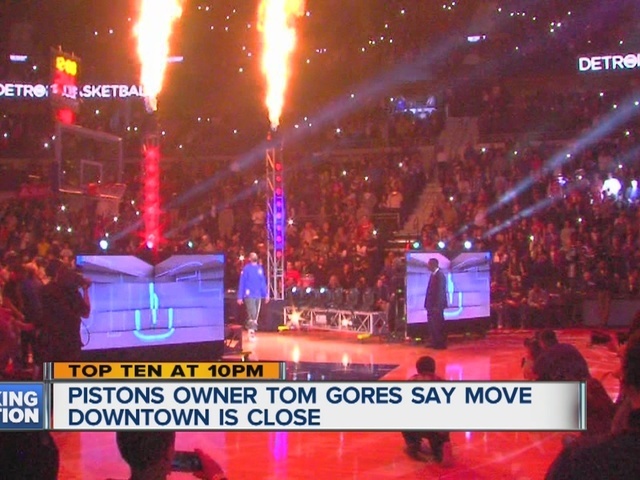 Pistons owner Tom Gores says he is getting close to reaching a deal to move the Pistons downtown next season. Gores says the deal is not done yet, but he is "very serious" about making the move. 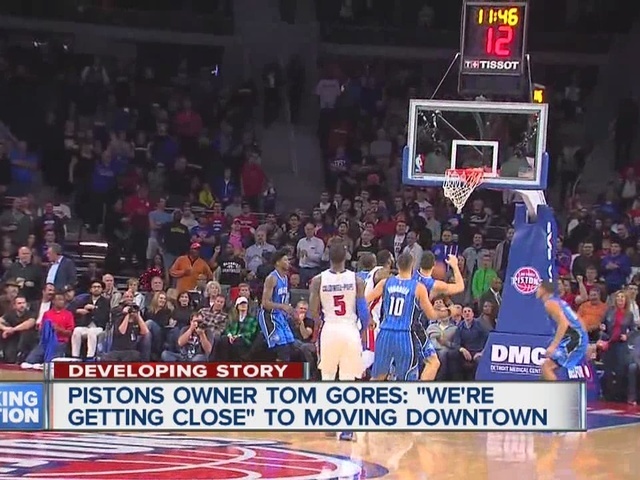 "If we're going to do it, it's going to be soon," said Gores. "We're serious. We're serious about making this move." The Pistons would play at Little Caesar's Arena, sharing it with the Detroit Red Wings. Gores also said that when he bought the team back in 2011, his main focus was getting the team better. Now that the Pistons are back in the playoffs, the focus has shifted slightly to moving the team to downtown Detroit. "When I bought this team, I really thought we could move the community. And I think we've done a pretty good job of that," said Gores. "To this day, I think that's the most important thing. As much as I want to win, the impact on community is huge." Just last year, Gores put $40 million into renovations to the team's current home: The Palace of Auburn Hills.